I finally got around to leveling my Alchemy to 700. 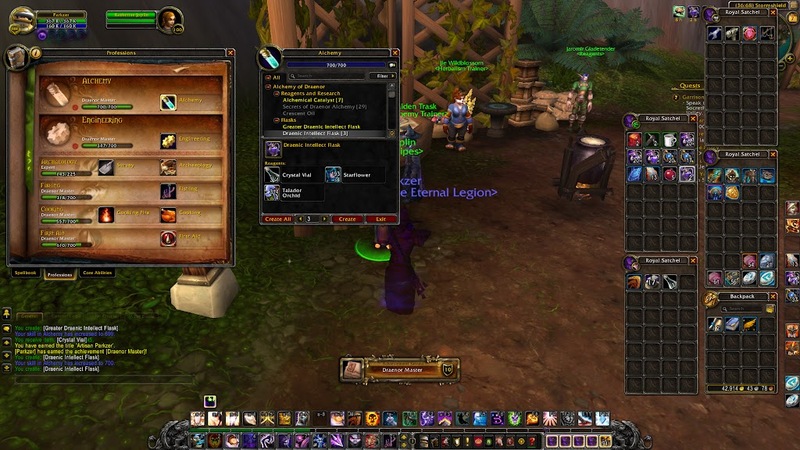 This entire time, I’ve been religiously collecting herbs from my Herb Garden, so much that I even managed to get my Draenor Seed Collector achievement not long ago. But, I wasn’t really ever doing anything with all these herbs I was picking. I looked up some guides online to figure out what I could do with these herbs and where I can get the recipes, and I finally used my Secrets of Draenor Alchemy to buy some relevant recipes and use my Ta­lador Orchids to make intellect potions. Hopefully this means my damage will increase by at least a little bit. I also did my first garrison invasion defense since reaching level 100. I have a vague memory of doing something similar to this during my leveling process, but I leveled so fast and it was so long ago that I’m not entirely sure. If you earn 1,000 points during the invasion, you get the Gold Defender achievement; unfortunately, I was 40 points short, so I’m a Silver Defender. After a lot of running around, I finally got my Explore Draenor achievement. 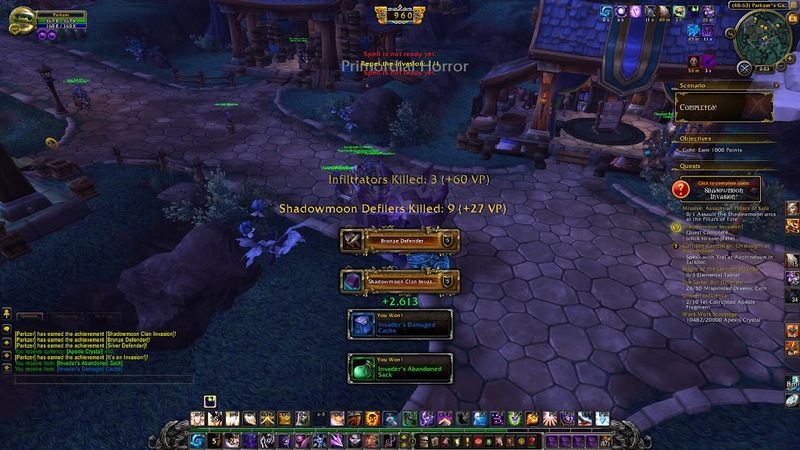 This is one of the a­chieve­ments necessary to learn how to fly in Draenor, and now I’m one step closer to my goal. The last region I finished exploring was Frostfire Ridge. I’m not entirely sure, but I think that this is a Horde area, which is why there are so few flight locations and no quests anywhere. I employed the help of my Aviana’s Feather to launch myself airborne and get across some of the mountains, and I finished at Iron Waystation to unlock the entire Draenor continent map. Last, but not least, I finished this week’s special event, which was timewalking dungeons. My last dungeon was the Pit of Saron, of which the final boss’ lair reminded me of Icecrown Citadel, the raid I recently soloed twice to get my dragon mount.